To put it short, Australians are addicted to their Cricket. With the Australian Cricket Team making the Aussies proud numerous times, the sport since it is so easy to understand, has been in the heart of people from all ages making betting in Cricket as popular and old as the sport itself. Know more about the inseparable relation between Cricket and Australia here. Cricket, a game of bats and ball, is played between two teams consisting of 11 players on each side. The game requires 22 yard rectangular long pitch on a centre of a field. The term “innings” defines the turn each team takes to bat or to bowl in an attempt to score runs or to eliminate the batsman of the opposite team respectively. Generally, the bowler delivers the ball to the batsman; the goal for the bowler is to eliminate the batsman, whereas the goal for the batsman is to strike the ball as far as possible to gain runs. The batting for that particular team continues until ten out of eleven batsmen are eliminated. 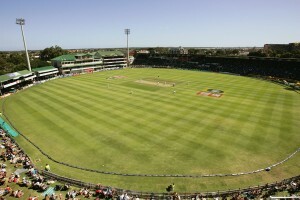 After the elimination of the tenth batsman, the game would continue only after the two teams switch their roles from batting to fielding and vice-versa. Cricket, previously accounted as “creckett”, can be traced back to early 16th century England. The definite reference to cricket being played in England is in evidence given at a 1598 court case which mentions the term “creckett”, meaning a stick (crook), and describes it as a game. Cricket was initially rumoured as children’s game which later adults started to play. Numerous references indicate that cricket, in the 17th century, started to grow in the south-east of England. Later, by the end of the century, it was played for high stakes and demanded professionals to make the game more competitive and interesting. An example is a newspaper published article, in the year 1697, “a great cricket match” with eleven players a side that was played for high stakes in Sussex. In the 18th century, the game underwent a major development as it became the national game of England. People started betting; in fact betting played a major part with rich patrons. This single wicket sport attracted large crowds and wagers to match. In the year 1707, it was noted that large crowds converged to cricket matches on the Artillery Ground in Finsbury. In the 19th century, the British Empire had spread the game overseas making it popular in India, North America, Caribbean, South Africa, Australia and New Zealand. The match between United States and Canada, in the year 1844, was the first international cricket match. Other recorded international matches include England against North America in 1859, and Australia against England in 1868 and 1876-77 in England and Australia respectively. 11 players are allowed to participate in the game. The reserve player, also called 12th man, is allowed to play only if a player gets injured during the play. There are 3 empires, 2 on the field and 1 off the field in charge of video decisions; Umpires are responsible for making decisions. 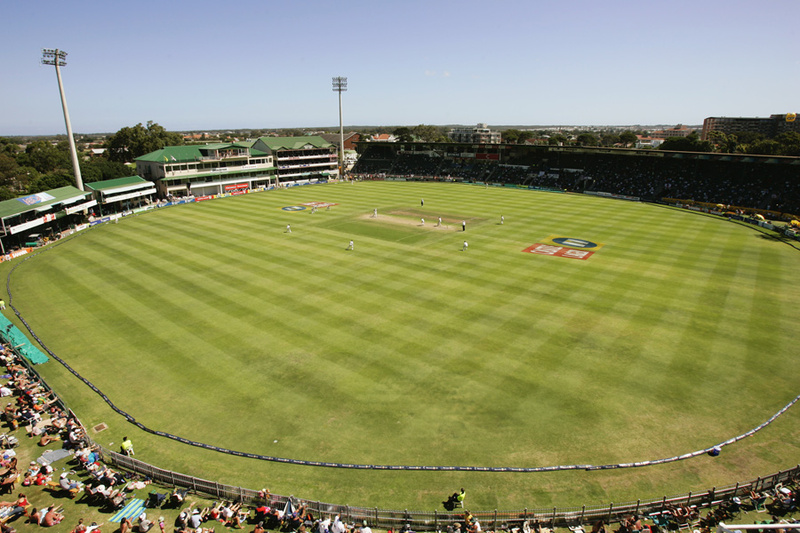 The cricket field consists of a pitch, infield and outfield. The cricket pitch is a flat, 13.7 meters by 3 meters long surface; the infield is approximately 27.4 meter s on its circumference and the outfield does not have definite size. The game spans over two innings. Two batsmen stand on the opposite sides of the pitch. In order to score runs, both the batsmen must run to each other’s end of the pitch; in doing so, one run is scored. If the batsman hits hard enough to cross the boundary, the team gains 4 or 6 runs depending on if the ball crossed the boundary line by land or by air respectively. Other rules to score runs are: No Ball, Wide Ball, a Bye and a Leg Bye. For a batsman to be declared out, he should either be bowled, caught, leg before wicket (LBW), stumped, run out, hit wicket, handled the ball or timed out. A batsman could also be declared out if he handles the ball with his hand, gets timed out, hits the ball twice or obstructs the field by word or action. This form of cricket is considered as one of the highest standard of first-class cricket. This lasts up to 5 days and consists of 3 to five matches. This form of cricket, by its name, consists of limited overs for each side. Examples of limited overs cricket are One Day International and Twenty20 International. A domestic but seasonal limited overs competitions in both knockout and league format is labelled as National Championships. This form of cricket, limited by time or overs, is mainly for amateurs and is played during weekends or evenings. Indoor cricket is played with 6 players per team. This type of cricket is played with a tennis ball and a home made bat. This type of cricket is played with a hockey-stick shaped bat. Here, the bowler does not have to wait for the batsman to be ready before a delivery which leads to faster, more exhausting game. Australia is one of the best cricket teams in international cricket competitions. Australia usually plays a test series against a visiting team, and one-day series between two other teams at home each summer; remaining time of the year, they go for tour overseas. The Australian cricket is divided into international cricket and domestic cricket. 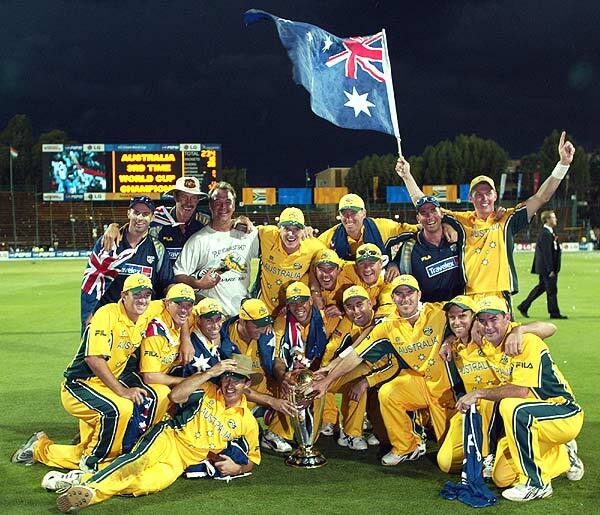 The Australian tri-series include Carlton and United Series, the VB series and the Commonwealth Bank series. Another one day internationals Australia participates in is the cricket world cup. Australia’s women cricket team also participates in International Cricket World Cup, Rose Bowl Series and a Series of One-Day Internationals. Domestic first class cricket in Australia is Sheffield Shield. The Ford Ranger One Day Cup is the domestic limited over cricket for Australia. Women’s national cricket league is the domestic women’s cricket game for Australia. Some of the Australian club cricket includes Victorian Premier Cricket, Sydney Grade Cricket, South Australian Grade Cricket, Queensland Cricket Association, Western Australian Grade Cricket and Tasmanian Grade Cricket. This is awarded to the most outstanding Australian cricketer of the past season. The winner is announced annually. This is also awarded annually to honour Sir Donald Bradman’s achievements with a contemporary discussion by a prominent person on the spirit of cricket and cricket’s role in the modern world. This is awarded to a team which ranks the best to show a good team spirit. The spirit of cricket awards is based on a research survey for each individual team.